Editor’s Note: It’s no secret that we here at Morbidly Beautiful are huge fans of Unearthed Films, the premiere distributor of original and innovative independent genre films — for fans of extreme and uncompromising horror. While the company, founded by Stephen Biro, made its name with the shockingly brutal and ultra gory American Guinea Pig series, it has been delivering exceptional genre fare for years. Thought provoking and innovative films like Sheep Skin, Mecanix, and Atroz prove the company is about much more than just great gore and practical effects. 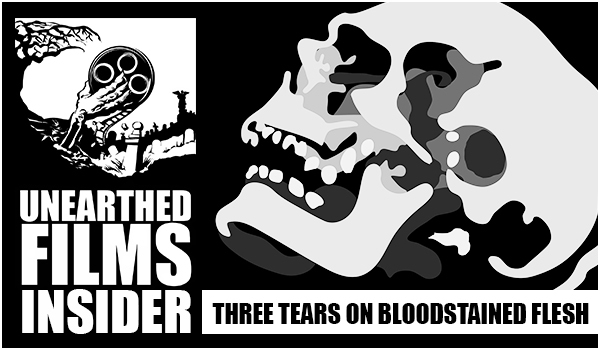 Unearthed Films’ latest release, THREE TEARS ON BLOODSTAINED FLESH, looks to be another stellar and stylish addition to the company’s expansive collection of must see independent horror. 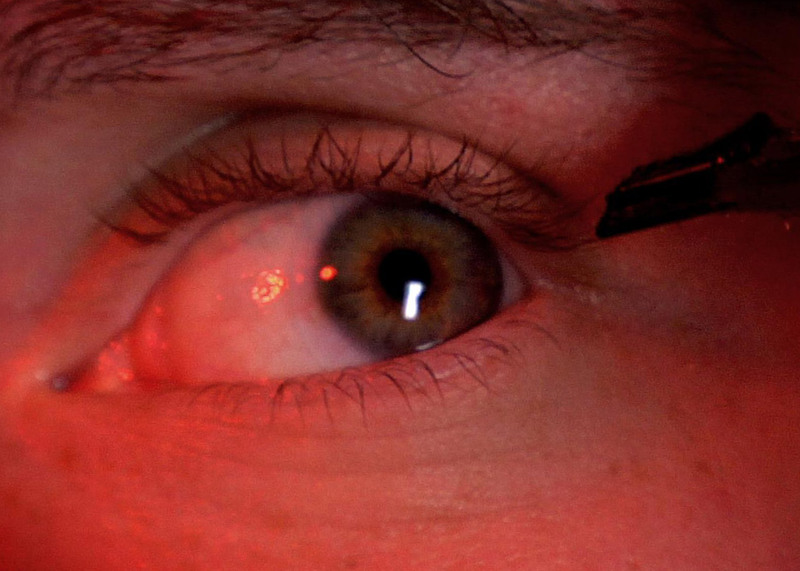 From writer/director Jakob Bilinski, THREE TEARS ON BLOODSTAINED FLESH is a modern, Mid-westernized spin on the Giallo. This is the tale of Dominic, a man with a dark past who returns to the small town he’s long since abandoned to bury his niece, Lexie, who has recently passed. Dragging his troubled daughter along with him, he simultaneously reunites with his estranged sister and reignites a past rivalry with the corrupt town sheriff, Rex Drisko. Convinced that there is more behind Lexie’s death than is being said, Dominic begins digging around the town, probing its strange inhabitants. In the process he unearths his own demons and uncovers the town’s dark secrets, which include a mysterious cult, a supernatural curse, a masked killer, and a very high body count. Everyone is both a suspect and potential victim, and only one thing is for sure: the Earth will be stained red before Dominic uncovers the truth.